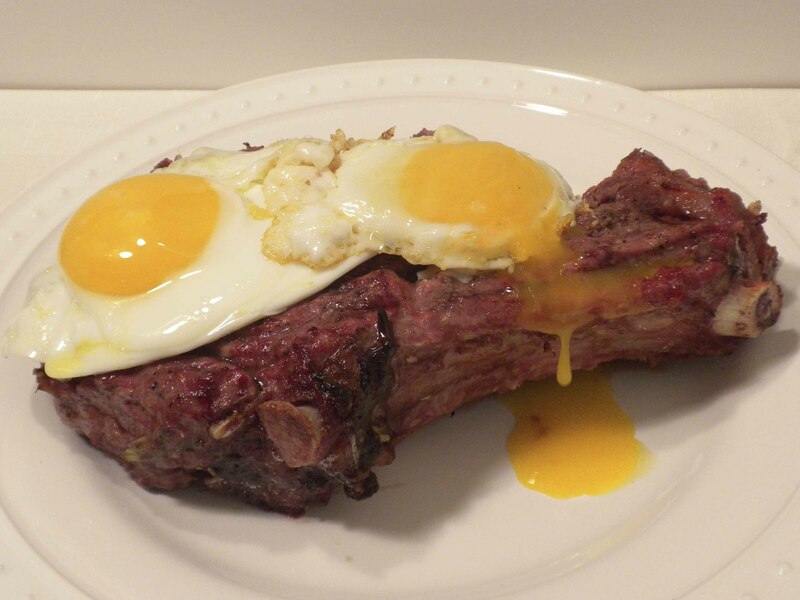 Delicious grassfed steak and pastured eggs. After a long night, I woke up to start my daily duties at six am, feeling tired and listless. As usual, my solution was based on food. It occurred to me that the original purpose of breakfast was to provide the nutrition needed to start the day. But what would give me the energy I needed? I focused on it, and four different foods came into my mind. All these foods are forbidden by conventional food beliefs, as they are all high in animal fat. Yet this was exactly what I wanted, and I trust my body more than profit-based nutrition standards. Red meat, maybe the most demonized of all foods. Yet grassfed beef has always given me strength, and our ancestors used meat for this purpose. 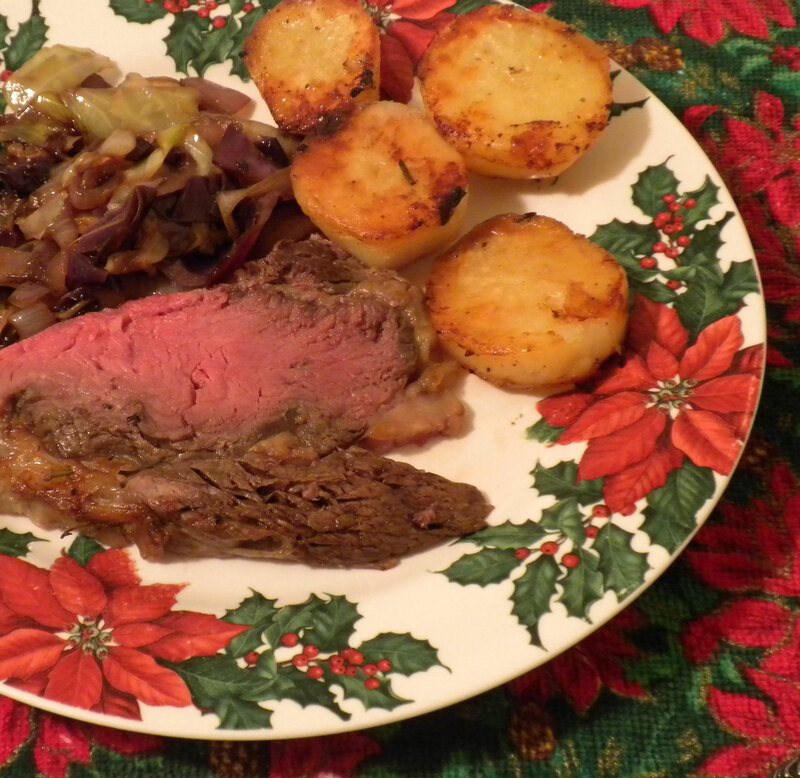 I had some rare leftover roast beef. We are not supposed to eat egg yolks, but I always do. The yolks contain many nutrients, some of which are hard to get elsewhere, in a very delicious and digestible form. I got hungry just thinking of how good they would go with the meat. Another forbidden food, real pastured butter is a nutritional powerhouse. The real sacred food of Europe, and I love it. I decided to heat the beef and eggs in butter, and put additional butter on the meat when served. We are told to eat low-fat cheese, but our ancestors never did, and neither do I. Cheese is fermented, which adds additional nutrients, and the Gouda cheese I decided to eat is very rich in Vitamin K.
In no more than five minutes, I quickly fried the meat and eggs in butter, cooking the eggs just until the yolks set. I added more butter at the table, sliced some Gouda cheese, and happily ate this delicious, satisfying meal. I had so much energy that I got right to work, and was very productive. And I wrote this blog. This forbidden breakfast was just what I needed. One of the oldest traditional Chinese food combinations: ginger, garlic, and green onion. If you read enough of the conclusions of studies reported in the news, you might decide that every single food you can eat is unhealthy in some way. It does not matter if the food is meat, poultry, seafood, fish, nuts, vegetables, or fruits, somewhere there is a study claiming it is unhealthy. Obviously, if all the foods humanity has eaten, or can eat are unhealthy, we would not have survived as a species. But how do we know what is good to eat? I found my answer through the research of Dr. Weston A. Price, who found that traditional peoples who ate their traditional diets were free from modern diseases, birth defects, and mental illness, even though many of the foods they ate were condemned by modern beliefs about food. I base my diet on traditional food combinations, and the results have been fantastic. It is better to look at all the foods eaten together, rather than just one food in isolation. As a lawyer who specialized in legal research and analysis, I know a thing or two about researching an issue. What has always bothered me about most current food research is that they almost always seem to focus on a single food ingredient, or class of ingredients, and ignore the rest. An example would be studies that claim that red meat is unhealthy, yet ignore the other foods eaten, and many other factors. But we do not eat foods in isolation. Usually, we eat many different kinds of food in a single day, and the substances in these foods interact with each other and our bodies. People do not normally eat just one food, or one class of food. To really know how food affects our health, I believe it is necessary to consider everything that is eaten, as it is the combination that effects our bodies. Some studies have shown that the substances in one food will counteract the negative effects of the substances in another food, if the foods are eaten together. For example, studies have shown that the harmful glycemic effects of potatoes are greatly reduced or avoided if fat is eaten at the same time. There is little current research on this, but Dr. Price looked at everything eaten by the peoples he studied, and the effect it had. Nearly all cultures that ate potatoes never ate them without plenty of animal fat. The Chinese combined ginger, green onions, and garlic together in a huge number of dishes. 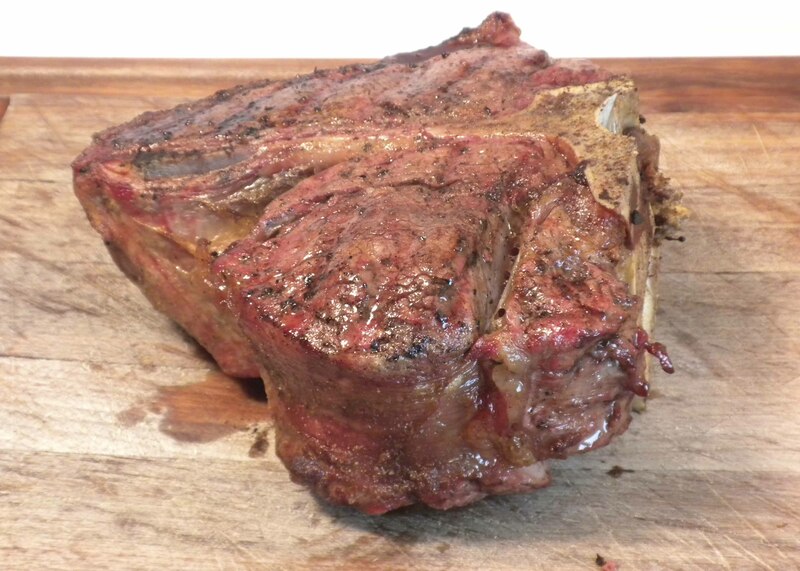 Our ancestors never ate red meat without fat, usually animal fat, and usually plenty of it. There are countless other examples, preserved in the traditional cooking and food traditions of nearly every nation, and I believe I have received great benefit by combining food according to these traditions. Our culture looks at the nutritional value of each type of food separately. For example, we are told the amount of calories, and the nutrients contained in a potato. Or we are told to eat a certain group of foods daily, with little attention paid to what they are actually eaten with, or how they are prepared, as long as certain “bad” foods are avoided. Yet our ancestors paid enormous attention to combining different foods, herbs, and spices, and to how they were prepared. Thousands of combinations and preparation methods were developed, and food was always eaten and prepared in harmony with these traditions. Why did they go to so much trouble and effort, and follow these very distinct rules and traditions? When they wrote about it, or passed down the tradition verbally, our ancestors were clear that these traditions were developed to enhance nutrition and health, with taste being a secondary though important consideration. In my opinion, this is precious knowledge, often reflecting thousands of years of human experience and testing, and well worth preserving, and using. When you eat several kinds of foods at one meal, your body does not process each food item separately, but processes the combination of what is eaten. We know that combining different substances often changes their effect, and can create a combined effect. For example, let us look at the potato. Potatoes are classed as carbohydrates, and believed to cause hyperglycemic effects. But few people eat potatoes in isolation. In traditional Europe, potatoes were usually eaten with a large amount of animal fat. Some studies have indicated that eating potatoes with fat can counter the glycemic effect. No doubt eating potatoes with other foods also changes the effects of the potatoes, in ways that have not been scientifically studied. Different cultures would eat many different things with potatoes as well as fat. For example, it became a widespread tradition in Europe and the U.S. to often combine meat and potatoes. 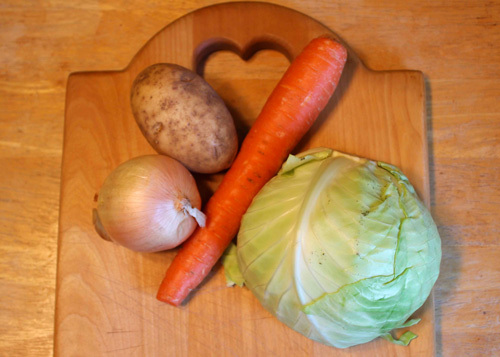 In fact, the combination became so widespread and common that the phrase “meat and potatoes” meant the foods that were essential for a complete meal. Later research has established that meat is essentially an acidic food, and that potatoes are essentially an alkaline food. We know that it is important for our health to maintain the right acid/alkaline balance in our bodies. I suspect the tradition of eating meat and potatoes (or meat with alkaline foods), stems from old knowledge of how to combine foods. Knowledge learned without the benefits of chemistry or studies, learned instead through long experience. One of the oldest and most common Chinese food combinations is to use, ginger, garlic, and green onions together, in a multitude of dishes. We know that each of these foods has beneficial effects individually, but no one appears to have studied them in combination. Yet the Chinese tradition of combining them reflects a belief that they are far more effective in combination than alone, which may very well be true. Fortunately, many of these combinations have been preserved as recipes and traditions. We can get the benefits just by using these recipes, with real food ingredients. We do not even need to know what they do, to get the benefits. There are so many of them that I will not even attempt to list them, but I do use them in cooking. Not only does this usually result in a delicious meal, but I believe the nutritional and beneficial effects of the food is enhanced by using these traditional combinations. I am working on a new cookbook that is based on using some of these traditional combinations in easy recipes, using only real food ingredients. Testing the recipes for this book has been absolutely delicious! Grassfed Hamburgers Are Not Boring! Hamburger with Kebab Flavors—ready to cook. I used to hate hamburger, and ground beef in all its forms. Factory beef makes terrible hamburgers, in my opinion. But that all changed when I switched to grassfed ground beef, and found that I loved it. As one of my favorite grassfed ranchers once said, “These are hamburger times, not steak times.” Many people think hamburger is boring and uninteresting. Yet many cultures celebrate traditional ground meat dishes, and often prefer them to more expensive cuts. The beauty of ground grassfed meat is that you can do so much with it. You can add all kinds of ingredients, and the variety is limited only by your imagination and research ability. I have found that traditional ground meat flavor combinations can make the plain hamburger into a delicious, nutritious, delight. I first learned of the value that other cultures give ground meat mixtures when I went to an ethnic restaurant with a friend who wanted to introduce me to his native cuisine. There were many grilled items, and I asked him what he liked best. I thought it might be the lamb kebabs, or the marinated chicken kebabs. Instead, he enthusiastically recommended the ground meat kebabs, which he said were the best thing on the menu. I took his recommendation, and was astonished by how flavorful and good they were. 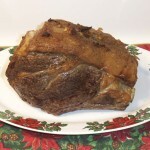 Many cultures have their own unique traditional ways of preparing ground grassfed meat. The meat is almost always mixed with other ingredients. In Germany, the meat could be mixed with eggs, breadcrumbs, cream, and a little nutmeg. In Poland, a ground onion might be mixed into the meat, with some bread that was soaked in milk, squeezed dry, and incorporated into the burger. Armenians could mix finely chopped parsley and onions into the meat, along with various spices. In India, curry spices and other ingredients could be mixed into the meat. The combinations are endless. The key to having a flavorful variety in burgers is to mix other ingredients into the meat. Cajun Burger, to name a few. They are all different, yet delicious. 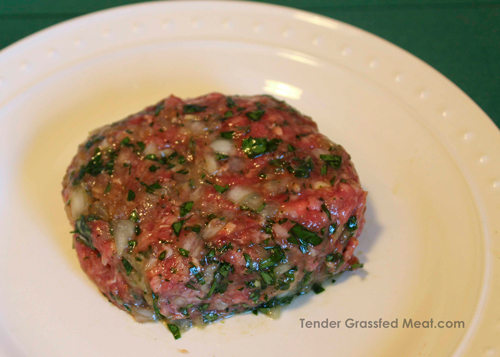 Ground grassfed meat need never be boring, and can be delicious in so many ways! Traditional Chinese seasoning combination of garlic, ginger, and green onions. In researching my upcoming book on traditional cooking, I was fascinated to see how many cultures ate particular food combinations. Certain foods and spices would always be eaten together. I saw this in the traditional cuisines of Europe, Asia, Africa, North America, Latin America, almost everywhere. Why were these foods always combined in a particular cuisine? I did a bit of research and was delighted to find that science has verified the health benefits of some of these traditional food combinations. Our ancestors were remarkably well informed about the foods they ate, even without science and research. They had their traditions, which represented the collected knowledge of their ancestors, passed down from father to son, from mother to daughter, over the centuries. Not all of these traditions have been verified, but some of them have been. Throughout traditional Europe, bread was always eaten with butter. In areas were butter was hard to get, bread was always eaten with some other fat. In many areas it was pork lard or pork fat, often spread on the bread while still raw. Bread was also fried in bacon grease. Olive oil was sometimes used, especially in Southern Italy. But some kind of fat, usually a lot of fat, was always spread on the bread. Potatoes were also always eaten with fat, including butter, cheese, cream, lard, bacon, chicken fat, duck fat, beef tallow, lamb tallow, and other animal fats. Bread and potatoes are very high in carbohydrates, and can cause glycemic effects that can harm the body. Science has verified that fat slows the absorption of the sugar from carbohydrates. This can slow down and often prevent the harmful “sugar rush” effect of eating carbs and sugars. Thus the traditions of always eating these carb-heavy foods with fat had a definite health benefit. Another example is the Chinese seasoning combination of garlic, ginger, and green onions, which is used in a huge number of traditional Chinese dishes. 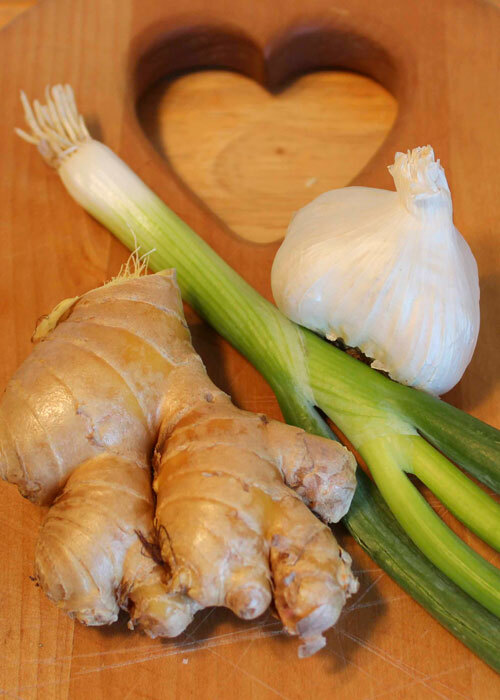 All of these vegetables have proven antibacterial and blood purifying effects, and ginger is known to help digestion. There was an old Chinese belief that ginger drove “the devils” out of the food. The numerous health benefits of garlic have been proven by science, as have the antibacterial effects of green onions. The combination of all three has not been tested, but I suspect that they are even more effective in combination. Turmeric has proven antibacterial and anti-inflammatory qualities, and recent research has shown that it may help the natural processes of the body avoid Alzheimer’s disease. Even more recent research has shown that the helpful effect of turmeric is substantially increased when it is consumed with black pepper, which has a substance that works to increase the beneficial effects of curcumin (the active ingredient in turmeric). Turmeric is a very common spice in India, being a component of almost every curry spice combination. Turmeric is nearly always combined with black pepper in these dishes. India may have the lowest rate of Alzheimer’s disease in the developed world. These are just a few of the traditional food combinations whose beneficial qualities have been verified by science. There are many others. There are other food combinations that have not been tested, but I suspect that they are very beneficial as well. It is often hard to choose which recipe to put into a book. I had developed two recipes for Hungarian-style potatoes, but there was room for only one. Another version of this recipe will be in my new book, which will be finished soon. But this version is so good I decided to post it so my readers can enjoy it. This recipe is based on the traditional Hungarian flavor combination of onions, paprika, and bacon fat. This simple combination results in a rich, sweet, savory flavor that is a joy to taste. This dish is cooked at low heat on top of the stove, which makes it a good choice for a side dish on a hot day. Actually, it tastes so good that it can be enjoyed in any weather. The basic Hungarian flavor base is made by sautéing onions in bacon fat until lightly colored, lowering the heat, and adding paprika. Very simple, but care must be taken in the selection of ingredients. 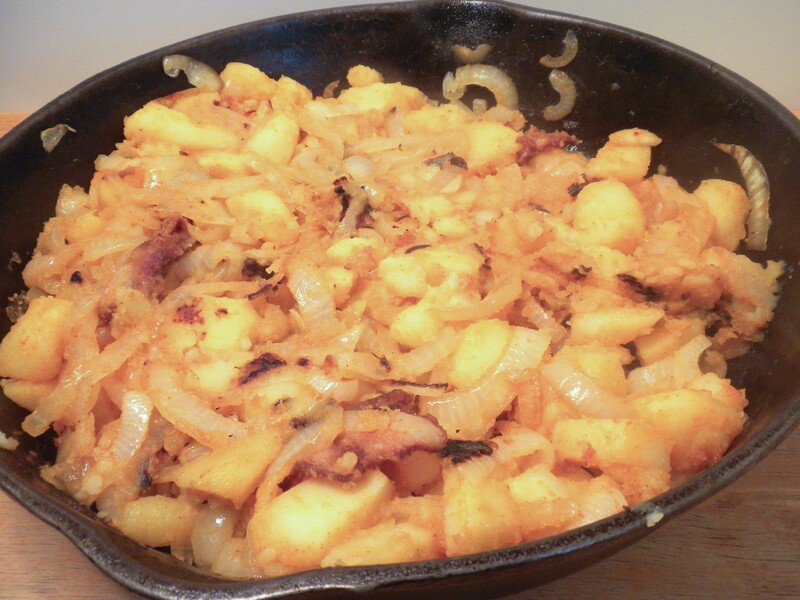 I recommend using organic potatoes and organic onions for this dish, as they have a better flavor. The paprika should be from Hungary, if possible, and should be sweet. However, you could, if necessary, make it with sweet paprika (dulce) from Spain, or organic paprika. I also recommend using bacon that does not contain nitrates, or other artificial preservatives, preferably from pastured pigs. The bacon absolutely must be very fat, as plenty of bacon fat is necessary for the success of this recipe. Like many traditional recipes, this dish is simple, but the flavor is over the top, being much more than the sum of its parts. 1. Heat a medium-sized pan of filtered water to boiling. Add the salt and the potatoes, and bring it back to a boil. Reduce the heat to medium, and let the potatoes cook at a slow boil for 10 minutes. Drain the potatoes. 2. Place the bacon in a cold heavy-bottomed frying pan. Turn the heat to medium. When the fat starts to melt, lower the heat to medium low. Turn the bacon from time to time so the fat can render from both sides without burning. 3. When most of the fat has rendered from the bacon, add the onions and sauté over medium low heat for about 5 minutes, stirring occasionally. The onions should soften and take on a golden color. 4. Turn the heat down to low. Add the paprika and mix well into the onions. Cook over low heat for 2 minutes, stirring, being careful not to burn the paprika. 5. Add the potatoes and stir well, making sure that all the potatoes are coated by the fat and paprika. Use a heavy spoon to break each potato quarter into two or three pieces as you stir. 6. Turn the heat back up to medium and stir. Cook for another 5 minutes, turning the mixture occasionally. 7. Cover the pan, and turn the heat to low. Cook for another 10 minutes, lifting the lid and stirring occasionally. You should wind up with a meltingly soft, caramelized mélange of onions and potatoes, subtly flavored by the paprika that goes well with any barbecued meat. 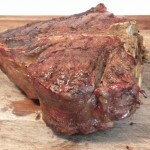 This post is part of Weekend Gourmet, Real Food Wednesday and Fight Back Friday blog carnivals.